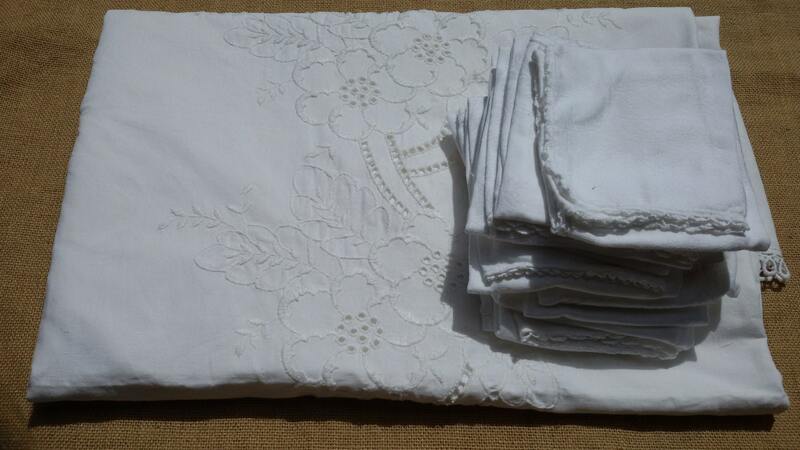 Victorian Handmade French 1930 White Linen Tablecloth and 12 matching napkins lace trimmed . 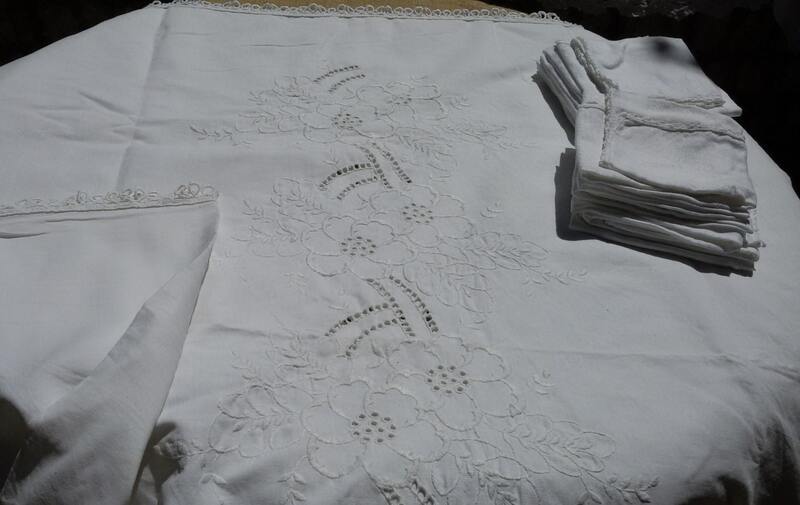 10/12 persons tablecloth. 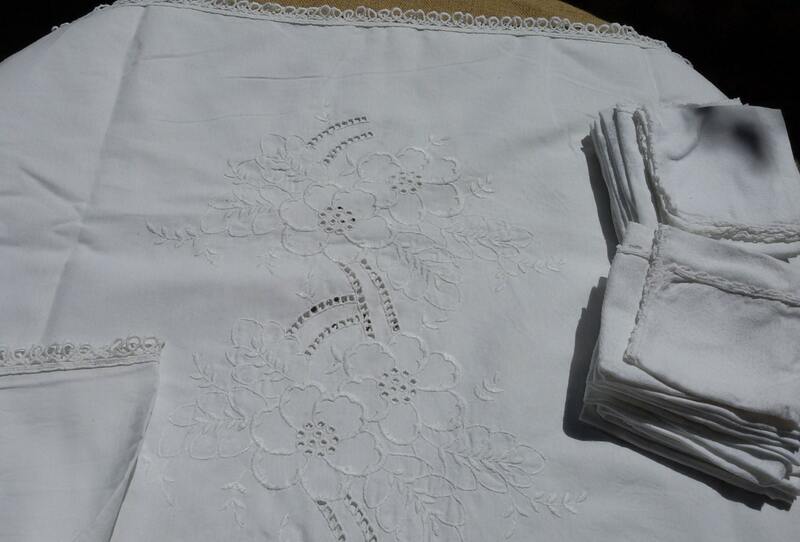 Floral embroideries and cut work design . 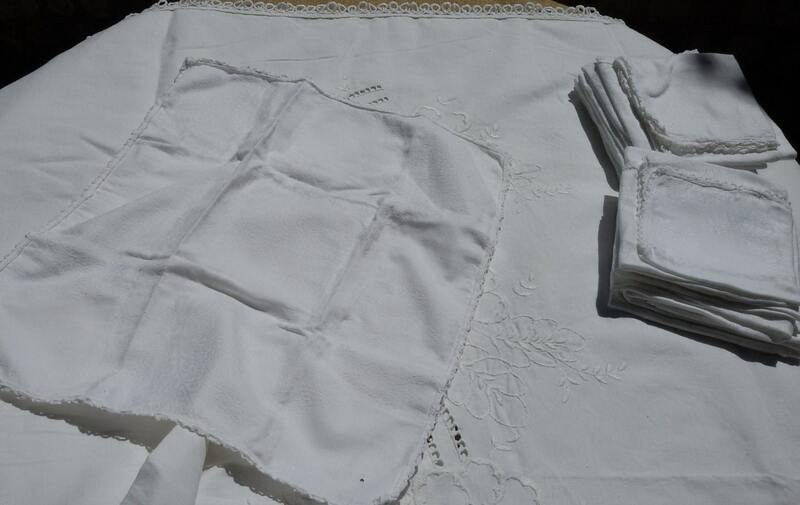 Good condition for its age a few stains. 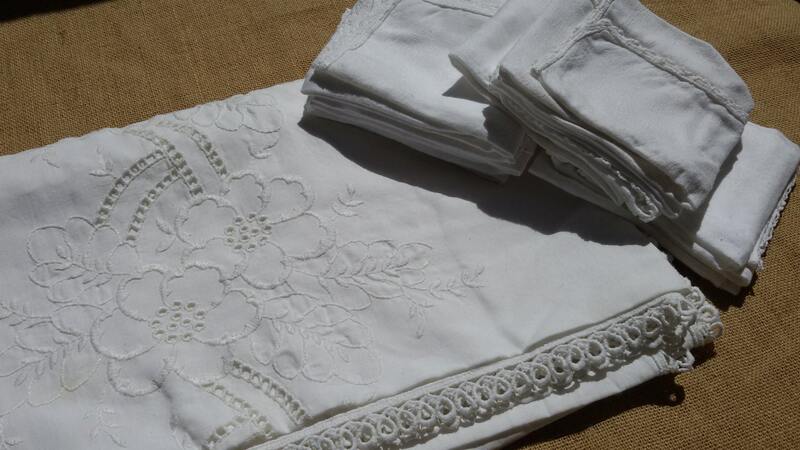 Napkins made of damask cotton. Very chic on a table !